The following is a repost, in honor of the fact that my daughters will be starting school next week (!) This means that the number of lunches I've made has changed. (And by changed I actually mean increased.) What hasn't changed is the awesomeness that is the lunch box smoothie. Enjoy! My older daughter just started sixth grade. That means, not including this year, she has been in school for six years. At roughly 180 days per school year, that comes out to 1080 days that she has spent in school so far. And the number of times she has bought her lunch in those 1080 days? That's right, I made the other 1079 lunches. Her sister, who's in second grade, has also bought only one time, bringing her homemade lunch total to 359. Needless to say, I'm always looking for ideas to spice up their lunches. 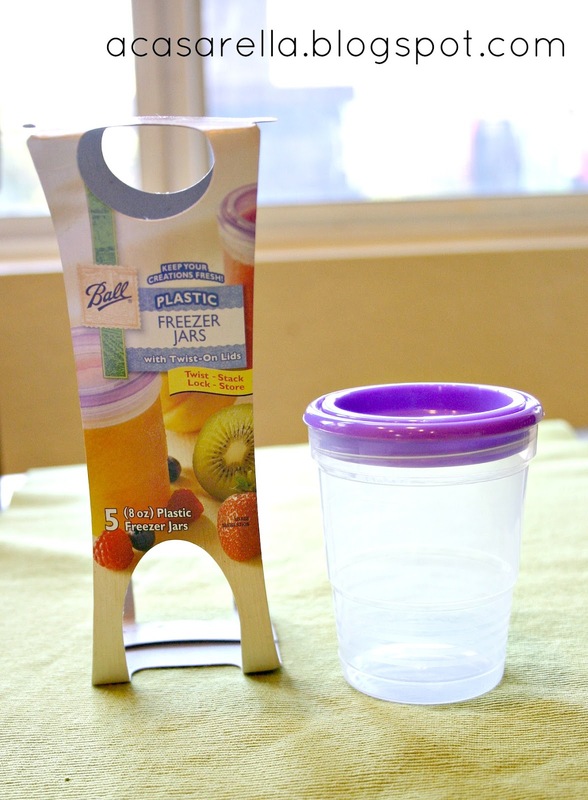 So I was intrigued when I happened upon this post from Jessica at Stay at Home-ista: One Week in Kindergarten Lunches. 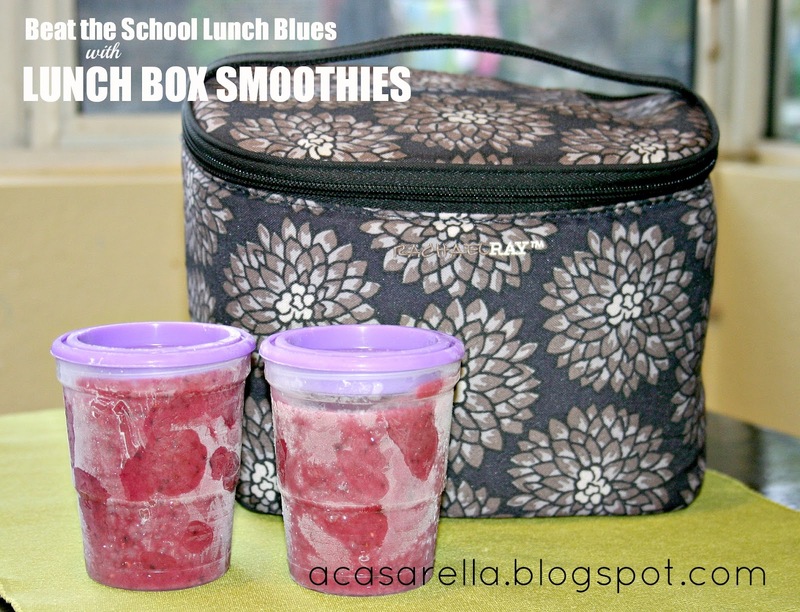 I love her lunch ideas and recommend that you go over and check them out. I was particularly intrigued, however, by her choice of packaging. She packs many of her daughter's snacks in Ball Freezer Jars, the type of jar one uses when making freezer jam. Looking to buy these? Click the "Products" tab above. I sent her an email asking about it and this was her reply: "I love the ball jars since they are dishwasher, microwave, freezer safe and they keep things from getting squished." 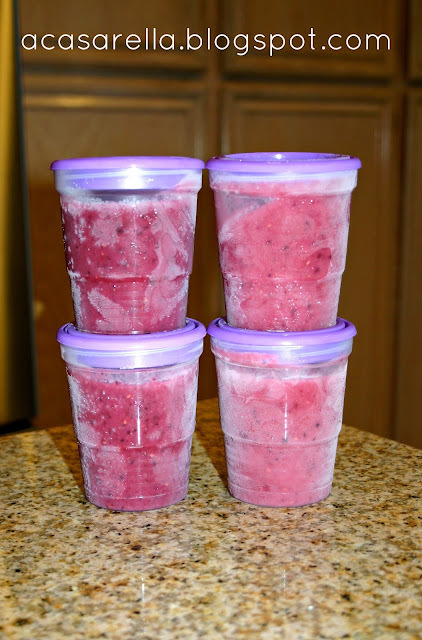 And that's when it hit me: I could make smoothies, freeze them in the Ball jars, put them in my daughters' lunches in the a.m. and they would likely be defrosted by lunch. Yesterday was my maiden run. My smoothies include Greek yogurt, OJ, frozen berries and bananas. I would give you measurements if I had them. I tend to eyeball it. One Magic Bullet's worth of smoothie fills two 8 oz. Ball jars. I made two batches and sent each girl to school with a smoothie. The verdict when they got home? An enthusiastic thumbs up. Both smoothies were perfectly defrosted by noon and my girls were the belles of the lunchroom. 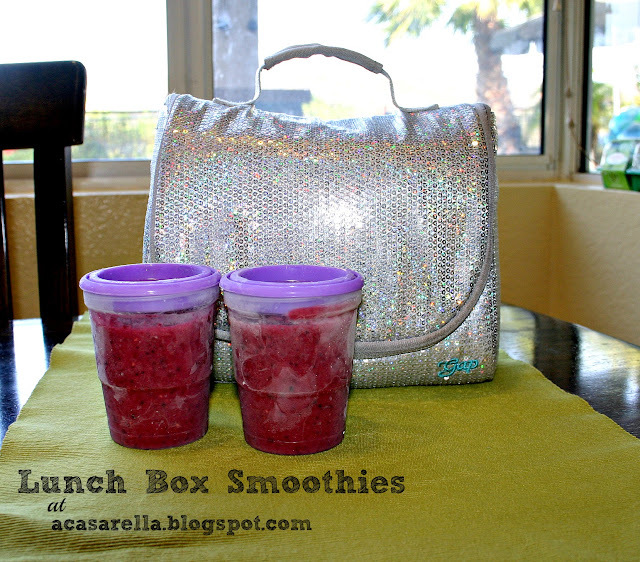 So--what are your favorite lunch box ideas? I'd love to hear them. That's a great idea! My son starts school today... however, this year this lunch period starts at 10:50! Crazy, huh? I doubt anything would be defrosted that early. This is a fantastic idea! I seriously LOVE it. I have no kid lunch boxes to pack, but bring myyy lunch to work every day! I'm going to go find these guys soon! What an amazing idea, Elena. 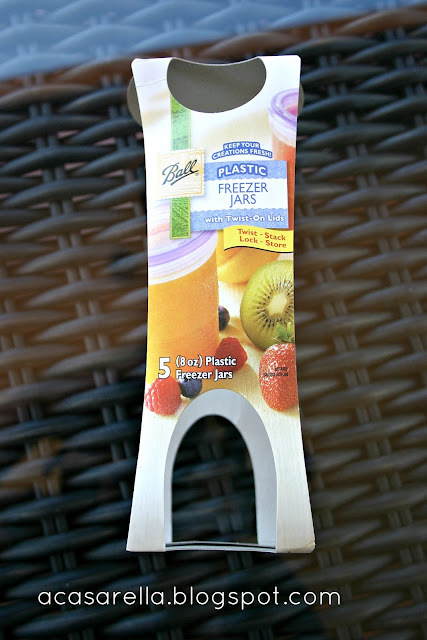 I would love to have a smoothie for lunch. I'm going to have to make one of these. Thanks for sharing your idea. You know I love ball jars:) I can't believe I have to start making lunch again in 11 days, ugh! That's a fantastic idea! My kiddos love smoothies! What a great idea! And I love those freezer jars!